Died on or since death presumed: 18th August 1916; age 27; KiA. Formerly 1592, Royal Field Artillery. 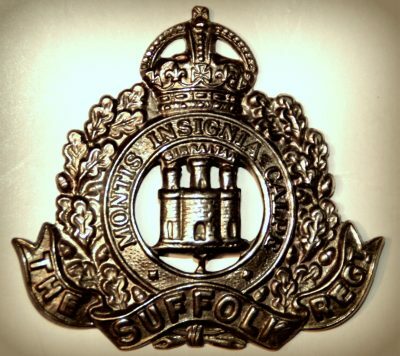 Relatives Notified & Address: Son of Mrs Caroline Chaplin, of 20, East Street, Ipswich. Brother to (GEORGE) JOSEPH CHAPLIN. 1891 71, Fore Hamlet, Ipswich. William was a year old and living with his parents & siblings. Charles Edward Chaplin, 42, a Painter, born Stowmarket, Suffolk. Caroline Chaplin (nee Mason), 36, born Ipswich. Charles Edward W. Chaplin, 9, born Ipswich. Eliza Susanna Chaplin, 6, born Ipswich. James Henry Chaplin, 3, born Ipswich. Charles, 50, a Plough Painter. Charles, 19, a Stonemason’s Labourer. Joseph Chaplin, 6, born Ipswich. 1911 20, East Street, Ipswich. William was 21 years old, a Printer’s Labourer – Printing Works. He was living with his widowed mother & brother.